Gals bring along your boots as we will be doing contact rugby tmw evening. Lesson plan: rucks, mauls, srcum, lineout and game plan. 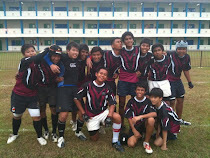 M1 Touch Series Plate Champion 2008!!!!! What a Fitness Training Sessions!!!!!! 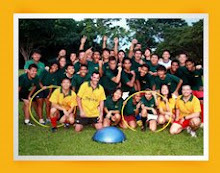 Ta'moko Lions is a social but competitive rugby club based in Singapore. The team is made up of locals and expats who have come together to participate in the sport of rugby as a form of social recreation. From here we want to expand the club into youth development team. Therefore, we have kids as young as 10 old years’s joining us. The main focus of the club is to develop new and existing player to further enhance their skill to make them a better player. 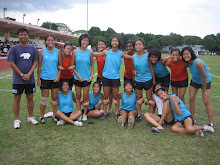 Although we're known as a social rugby club, we have, participated in various local tournaments like Black’s RFC Midnight 7’s, SMU 7’s, National Day fun touch and many more, and we intent to partake in overseas tournaments such as the Bali 10s, Manila 10s, Kowloon (Hongkong) 10s, JB 7s, International Norton Rose 10s and so on. Anyone is welcome to be a part of Ta'Moko irregardless of nationality, age or gender (Yes! We do have a Junior teams). Most importantly, we welcome people of any level. Trainings are held at Farrer Park. Please check the blog for updates.